How to install livechat in the OpenCart? After logging in to the administration panel, from the menu select Extensions, and then the Extension Installer. 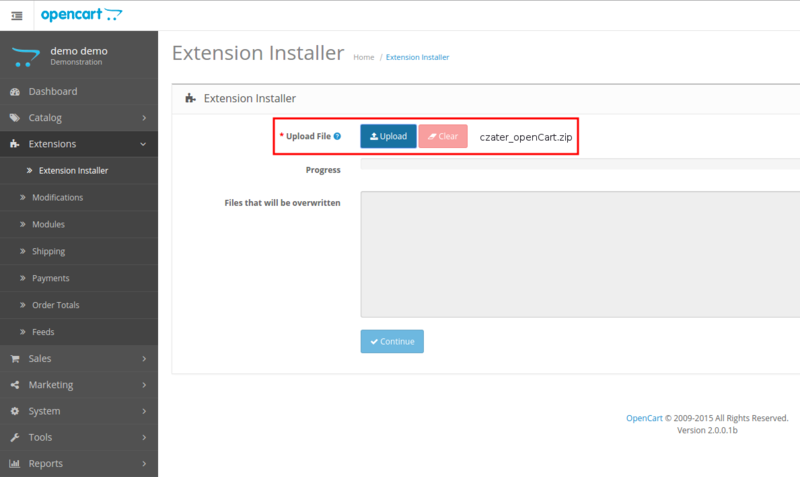 As in previous cases, we need to upload the plugin file czater.ocmod.zip. Click on the Upload button Upload, select the file from the disk and load the plugin. 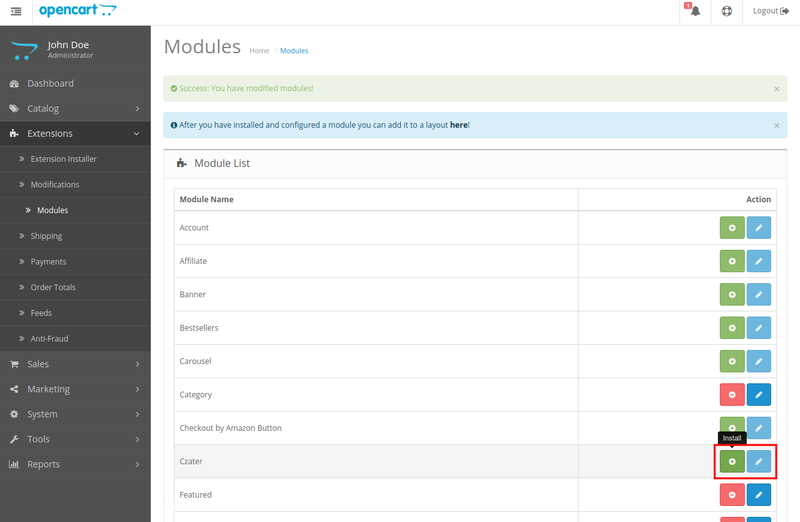 Then on Modules section, click on the + symbol at the chat module. When the message about successful installation appears, click the blue button (module settings). Here paste our chat script, switch status to active and select the option to automatically fill in the login and email address. Now you must set the subpage of the chat to be visible. To do this, first go to system settings and appearance (System -> Design -> Layouts). Here is a list of subpages. Use the blue button to edit them. In the settings of a subpage, from the module list select a module called Czater and mark it position to Content Bottom . After that, livechat should be displayed on you site.